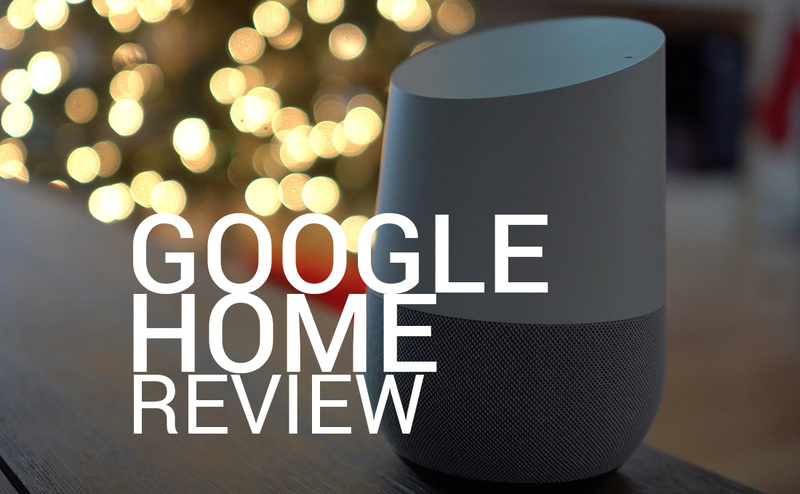 After spending the past few weeks with Google Home running my home, the time has come for our full Google Home review. Since this is one of those newish product categories, it wasn’t going to be fair to do this in less than 24 hours or even a week, because products like this aren’t smartphones. We all live with them differently, but also since we don’t use them constantly throughout a day like a smartphone, it’s impossible to know if your life needs one without thoroughly testing it for days on end. My setup for the past few weeks has included three Google Home units spread around in various rooms. I’ve had one in my office, since I spend the majority of my day in here, along with another near the kitchen and in our master bedroom. These spots are the most trafficked and seemed like they would get the most use. I’ve also got a Nest Thermostat in home, picked up a bunch of Philips Hue lights for testing, and have enough Chromecast-enabled devices around to create a robotic AI web of death, should the world ever get there. In other words, I think my house is setup quite nicely to get the most out of Google Home. You’ll get the full details on how this setup has worked for me in the Google Home review video below, but my approach was simple. Instead of using light switches, I tried to use Home to turn them on or off. Instead of getting my lazy a** up or pulling out my phone to adjust the temperature in my house, I used Home there as well. I used the Cast functionality to play music at various spots, tried the YouTube video casting once or twice, set timers and alarms, checked the weather frequently, and used Home to help create weekly grocery lists. I’m telling you, I went all out. So what’s the final verdict? My heavy investment in smart home products certainly didn’t come cheap and won’t mimic most homes. With that said, Home as the hub to control a majority of it has certainly made my house smarter and simpler to control. I know I’m a believer in Home and am looking forward to the improvements that are to come. If you are ready to start your smart home, a central figure like Google Home is a great place to start. You can buy Google Home at Verizon, Best Buy, Walmart, Target, and the Google Store.